The New Balance Fresh Foam Zante v2 is a shoe with an arch support in between minimalist and neutral. 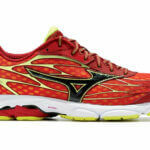 This gives a lightweight and flexible shoe with a bit of cushioning. If you are looking for a something versatile with a more natural feel than your average neutral shoe, the New Balance Fresh Foam Zante v2 may be for you!